Discussing the future of law has become a cliché in my professional circles. Science fiction writer William Gibson's famous quote "The future is already here — it's just not very evenly distributed" seems more true than ever as I talk into my smart phone and it talks back to me just like the communicator Captain Kirk used in Star Trek. Stephen P. Gallagher is a thought leader and deep thinker about our future. He is also a long-term friend and mentor of mine. But his area of interest isn't about the latest technology. He focuses on the challenges of human beings practicing law. His company is LeadershipCoach.us. Leonard E. Sienko, Jr. is a solo practitioner in Hancock, NY. These two teamed up to write "For Sole Practitioners, the Future’s Not What It Used to Be" in 2015 for the New York State Bar Association Journal. Some of the thoughts that they discussed then about the future of law seem timeless and others are already somewhat dated, even though it has been less than three years since its publication. Mr. Sienko is understandably proud of his career as what we would now call in futurist circles, an artisan lawyer. Today being an artisan lawyer is often referenced as the opposite of the preferred modern "lean" systems-based lawyer. I note that there are many artisan lawyers still practicing and delivering great value to their clients. Their follow up article, The Legal Profession in Transition, Download The Legal Profession in Transition - Gallagher-Sienko-Sept17 was published in September 2017. In it, they discuss Baby Boomers in the legal profession. Sienko postulates that "The new reality is that many lawyers and others are in no position financially to retire." They examine various scenarios (aka case studies) involving transitioning lawyers and note that, while part-time legal work has never been favored, this may prove to be a win-win scenario in the future. There likely are quite a few law firms that can use some experienced help from a competent lawyer who has no expectation of making partner. There likely are, and will be more, senior lawyers who have no desire to sit on the sidelines and let their legal talents go to waste, but also no desire to continue to work nights and weekends or have a billable hour quota to meet. In addition, we all appreciate that there are many lawyers who want to retire and sell their practice, but recognize that the better situation for all concerned would be for the new lawyer to work in the firm for a year or two before the retiring lawyer moves on or slows down so the purchaser can be introduced to existing clients. There are so many good ideas in this short piece. I know a lot of bar executives follow my blog and I greatly appreciate the NYSBA giving me permission to reprint their article so more bar association professionals can read it. I often counsel and teach new lawyers about building a practice from the ground up. It would be a much better situation for many of them to work with an experienced solo practitioner for a few years with the goal of taking over the practice. They can gain experience and receive advice while building a rapport with clients that they hope to retain after their lawyer has retired or transitioned to a "of counsel, but on call" status. These "May-December" pairings sound positive in theory, but there is a legitimate fear of the new lawyer that the veteran lawyer might hang on---and keep hanging on. I'd suggest that a one-year period with the new lawyer working as an employee would be enough for both sides to determine whether this is a good plan and then either the transition purchase agreement must be executed or the new lawyer should strongly consider moving on. The agreement could provide for a partnership type revenue split for another year or two as the new lawyer takes over. While the new lawyer would have to come up with some down payment, a payment schedule secured by the business assets might provide the retiring lawyer a better income stream than a cash sale as well as providing an incentive for the retired lawyer to continue to give the new lawyer a little free advice from time to time. 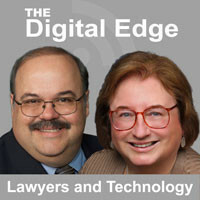 It is one of the most exciting weeks of the year for many legal technology experts. It is the week of ABA TECHSHOW. ABA TECHSHOW is many things. I'd encourage practicing lawyers to attend at least once. Among these many things is that it is a gathering of some really smart people working as, or with, lawyers. One of the greatest honors of my professional career was being asked by the 2012 ABA TECHSHOW Board, under the leadership of then-chair Reid Trautz, to give a keynote plenary session on the future of law. I was honored but nervous because the audience included my peers, my friends and as noted, many really smart people. You can read the ABA Journal's coverage of that talk, titled The Future of Law: Dark Clouds or Silver Linings? In January 2018, I wrote a column for the Oklahoma Bar Journal titled The Future of Law. 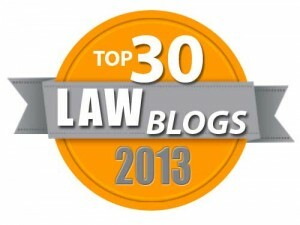 The 2012 talk was intended to be very broad and give lessons to all lawyers about how to succeed in the future. The 2018 column was focused on several recent trends and how they were going to impact the practice of law. I thought regular readers might appreciate the opportunity to compare my 2012 predictions with my 2018 predictions. To me, the most interesting thing was how many things I mentioned in the 2018 column that either didn't exist or existed only in laboratories and theory in 2012. I can now predict confidently that smart contracts are going to be a reality sooner than almost everyone has predicted. I say this because the push to adopt smart contracts will come from major corporate clients of law firms, whether the lawyers in those firms are ready or not. And firms that are not ready will find themselves faced with clients going somewhere else for a solution. My friend and technology guru Dennis Kennedy has provided the playbook in his piece for Law Practice Magazine, Thinking Smartly About Smart Contracts. I have linked to his blog post about the article (which links to it) because some readers may want to get some background information about blockchain from another resource he has written that is also referenced there. Why will smart contracts become so important so soon? Because this concept will be so easy for clients to understand and it will sound very good to many of them. As lawyers understand, when you hold a contract in your hand that paper isn't really the contract, the contract is an agreement evidenced by the writing on the paper. See the Wikipedia definition of contract. A smart contract will be code rather than paper, although there may be printouts. The code is the contract. That's huge. A smart contract may then be connected to all of the parts of the contract's elements by blockchain. This may include everything from a human inspector who inspects goods to certify they are conforming and files a report via blockchain to the transfer of funds executed via blockchain. So when the code is executed properly, the contract has been executed properly and there will not be post-contract litigation. For those of us in legal that is a breath-taking concept. For corporate clients, the idea of a smart contract eliminating post-contract litigation will be both breath-taking and a smart business decision. I can't say precisely how soon we will get there but I am convinced we will get there -- as is Dennis Kennedy. So read his feature. Will the first smart contracts for routine consumer matters like used cars sales or real estate closings happen soon after or not for a long time? We will have to wait and see.